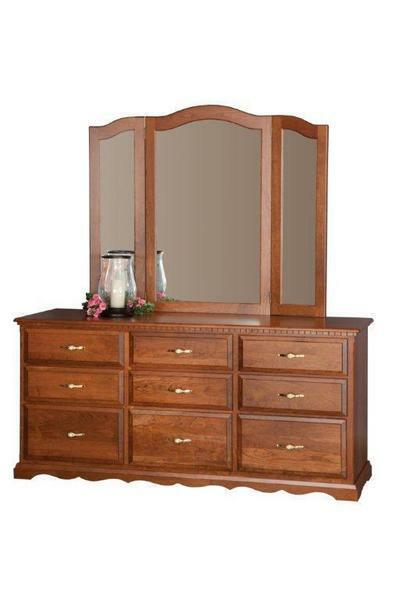 Place the Amish 68" Large Solid Wood Dresser in any bedroom and enjoy the extra storage! This solid wood dresser has nine drawers that can give you a perfect place to keep all of your clothes and keepsakes in. Add on a matching mirror for the dresser so you can create a perfect place to get ready in front of in the morning. If you would like to know more about this handcrafted dresser, give us a call at our toll free number - 866-272-6773 today!